Unknown Mark on Figurine Query - M & R With a Crown:- Hi there, I have just bought a very nice figurine which has a marking on the bottom that I was hoping you could identify for me.. It stands 15cm or 6" tall and has very nice detailed hands.. It has a marking on the base which is a letter M with a letter R underneath it and a crown on top.. Thanks for your interesting submission. The answer to your query isn't a glaringly obvious one, but I am sure we can come up with some answers which will help point you in the right direction. Let's look at the clues one by one. The figurine is very pleasant of course, but, without meaning to be critical and snooty about it, it is not quite in the same league as the English bone china makers I work with. 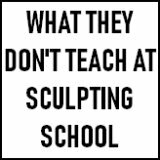 The sculpture work is not quite right, the glaze is rather flat and the finishing is not quite on the mark. I think also it seems to me 'pretending' to be old rather than actually 'being old' - which, if I am right, is always a warning sign. Turns out my comment is spot on - this mark is almost certainly that of Marks & Rosenfeld who were not manufacturers, but a US giftware distributor 1950's and 1960's who commissioned their own range of ceramics and gift ware and used the branding shown above. Use the in-house search box to find a couple of other forum threads on the same mark. A reproduction of a bygone age should always be clearly marked as such. When I do historic pieces with Coalport or Royal Worcester, the pottery mark is always clearly defined and cataloged, never pretending to be something that is is not. The wares may 'tell a story of the past', making accurate historical references, but may not try to 'pass off' as being antique. The use of "M R" and a crown is very obscure and not documented in association with any notable makers in my reference books. However, I did some digging and found an association of "M R" or "M & R" with Limoges firm Raynaud. There is also an 'M and R' sometimes used with one of the marks of Redon, Limoges. The other association of an R underneath an M is the mark of 20th Century English studio potter Reginald Marlow. it, pleasant though it may be - is its pottery mark. I noticed sellers on ebay passing this same mark off as "M & R Limoges" (go to my China Replacement page for instructions on how to do the same type of research). Now without contacting Raynaud, Limoges (I'll leave that to you! ), I very much doubt if the mark has anything to do with Raynaud. 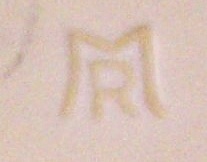 The real "M & R Limoges", as far as my brief research has shown me, is a relatively rare historical mark from French maker Raynaud. I don't pretend to be any kind of expert in European porcelain, however I do know that Raynaud is one of the greatest makers in the history of Limoges. Here is a brief background, which will let you know why the only type of merchandise you will see associated with Raynaud, Limoges will be of the very top quality in terms of both product and branding. Founded 1849 in Monthovis, the highest point in Limoges, A. Raynaud Et Cie is one of only eleven surviving of the original Monthovis Limoges firms. Always associated with complex technical innovation and quality, Raynaud have made significant contributions to the ceramic industrial arts, working with the best artists, artisans and designers in France. Their "tour de force" was the development of fade-resistant decorations techniques still used today by the porcelain manufacturing industry. The factory still houses one of the original Montjovis kilns - the only one left. Today, Raynaud has over 300 patterns. Where the "M R" mark came from was the entrepreneur Martial Raynaud who bought Montjovis in 1919. Then, in 1925, the company then went on to become RAYNAUD & Co and began to use the R pottery mark with a laurel branch. Working with great artist like J. L. Cocteau and Dali, Martial's son Andre expanded Raynaud's international presence. Family successor, Bertrand Raynaud, has today, written Raynaud's mission statement for the 21st Century - to continue a "tradition, intrinsic quality, timeless, world famous creations, a brand known and recognized as a reference". Raynaud's concentration has always been on high quality tableware, with little or no emphasis on decorative ornaments. There are some genuine "M & R Limoges" to be found, but your figure is not one of them in my view. So, why use a pottery mark which has a vague association with a famous maker unless it is for the purposes of marketing trickery? I don't know who made your wares, but if I were you I would concentrate your search in the area of mass producers or smaller, lesser known manufacturers, possibly in the Far East or Eastern Europe. hi i have the almost same marks,.the figurine is of a old man sitting on a tree stump cooking a sausage over a small fire at his feet, he has a cat at his left foot a bird on his shoulder,his clothes are worn, though he looks well dressed jacket scarf,waste coat, large rimmed hat. 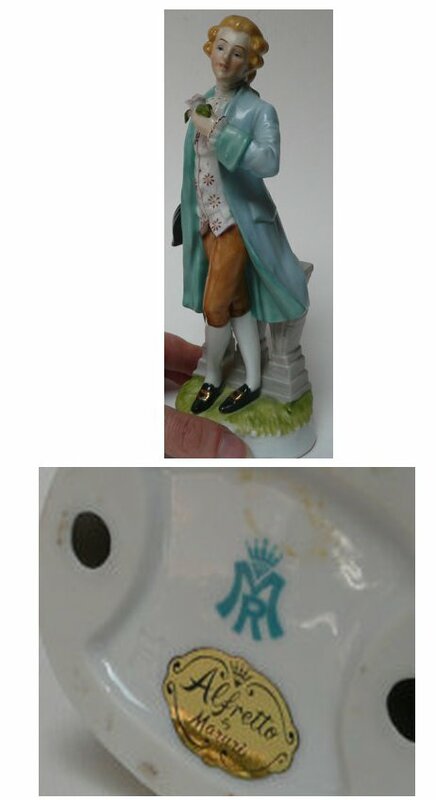 on the under side are 2 holes, then in blue is a large M with a R inside the M, there is a crown on top of these marks,.which is stamped in blue, then M R is indented into the figurine. i have had this figurine for at least 30 yrs.. can you help by telling me who it is made by. Following your impassioned plee, I had another look at this very obscure and uncatalogued mark. I think I have the answer - and I think my original hypothesis has been proved correct. I will explain in a moment - but first some background on how I RESEARCHED THIS WITH THE ABSENCE OF ANY INFORMATION IN MY BOOKS. "I am not familiar with Marks Rosenfeld potteries, but I did find some other porcelains they manufactured. It appears that they are either German or an Austrian manufacturer. This figurine is from the second half of the 20th century. Provisional value: £10-20 at an auction." It turns out they were a major US giftware distributor who also commissioned their own range of china and glass ornaments and gift ware and used the branding shown in the backstamp photo above. So despite the German sounding name, nothing to do with German manufacturing at all. It is very likely the wares were mass produced abroad (most likely Japan at that time) and then distributed to the US department stores and specialty retailers. So my original theory looks like being correct. Anyone know any different, please post in the comments section below. 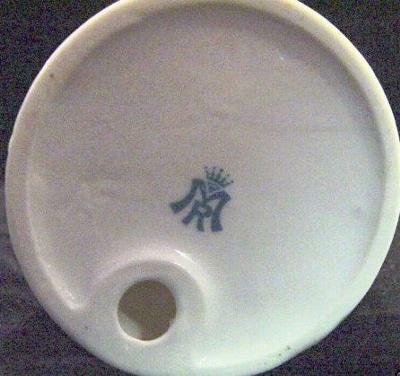 I have a Lefton planter from Japan with this M over R mark on the bottom. Thanks for your informative site! I've been wondering what that mark stood for. Hey, I am glad to have found this page, I used a few of your links and I found that the vase I have stamped M R FRANCE, and M R 47.8 is a Redon vase. The only thing that is still bothering me is that I do not know what the 47.8 means or who the artist is that worked on it. The mark was dated to the 1800's and the artist's initials read as M.G.L in cursive. I wish i could find out more about this piece. It is hand painted with two naked women, one shooting a bow and the other playing with a baby angel. There is a lot of gold work. It is really beautiful, is there anything or any direction you can point me to learn more about this vase or the value of it? Hey Rich, glad you getting good use from the site - that's what it's here for! My knowledge only goes so far, but there are specialists in the field. With regards to finding out more than we already know you could use the research team who I use for my 'paid-for' pottery mark service. They do charge a fee which I pass on, but you only pay if they can find out the thing you want to know. WITH YOUR FINE RESEARCH SO FAR, COULD YOU TELL ME WHAT MY FIGURE MAY BE WORTH? IT IS AS NEW FOR ITS AGE.INFACT ANY AGE. REGARDS, MALCOLM.INNES ESQ. I have recently recieved henry the 8th and elizabeth 1st matching figurines with this mark. will they be worth much? 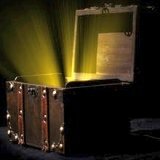 For expert valuation advice go here My vintage and antique china values expert liaison page and be prepared to spend a couple of dollars. Basically, I know a team of experts who can value and appraise these items at the drop of a hat. Unfortunately, unlike me, a non-expert, they charge for dispensing their knowledge, which is fair enough I suppose. I'm sure those guys on the Antiques Roadshow on TV don't do it for free either! I have just purchased 2 figurines, one of a boy artist and the other a girl selling flowers, both with the M R sign with a crown on top. They are being sold as Capodimonte figures? I think that is an Italian china maker? So, I think we as buyers are being tricked. I bought mine from Ebay as I really liked them but not happy if people are being conned! If M.R. (Marks & Rosenfeld) commissioned figures in the style of Capodimonte, and they appear to look like Capodimonte figures, and they were made in Italy, eBayers are quite within their rights to call them Capodimonte figurines (likely they weren't made in Italy though). If the figures I have seen are anything to go by (i.e the one in the above pic) they don't look anything like the typical Capodimonte style anyway. The thing is, you are inaccurate in saying Capodimonte is an Italian manufacturer. It is merely an Italian style used as a descriptive term. You are fretting over nothing in this instance as there are much more worrying descriptions to be seen on ebay. There is no longer one factory which can rightly lay claim to being the one true Capodimonte factory. In the 1700's the original factory was moved to Spain, lock, stock and barrel and the replacement unit was closed (actually was ransacked and stripped) in the late 1700's. After some complicated shenanigans the Ginori porcelain firm, in business since 1737, got hold of some of the original moulds, but that is another (long and complex) story. Hoped this puts your mind to rest. Enjoy your figures even more now you know the background to them. Good honest goods from the 1960's. Send pics in and I will add them to your submission. Hi. The Figure is by Alfretto Maruri of Italy. Not so sure about your theory - prefer mine. Couldn't find anything on Alfretto Maruri. Got any pics for us to see (or web pages to back up your theory) - or even a different spelling - or any details about this maker at all? I have been searching for ages what the M and R mark on the bottom of a Robin that I have. The robin is about 8cm tall. I am unable to find any other Marks & Rosenfeld bird figures on the web or auction sites (ebay). Does anyone know when this would have been made? It was given to me by my Nan and wondering when she would have got it (living in the UK). I've been doing a bit more digging on this MR mark as we have had a couple of posts on this Maruri name. This time I did find something on this maker - several listings on eBay and other places. All sellers described Maruri as Japanese, not Italian - e.g. "MARURI PORCELAIN JAPAN" F574 and "Maruri MI Japan Cottage Ware"
They all showed a different M R mark than the one shown in the photo at the top of the page - they showed this one show here. One seller showed a 1950's style Victorian lady figurine which had this style of MR mark, but also still had a faint sticker which amazingly had not fallen off saying "ALFRETTO by MARURI". To me this is pretty conclusive proof that this MR mark is Japanese Maruri who used an Italian sounding name like Alfretto for marketing purposes. So the MR stands for Ma Ruri. Alfretto is an added marketing name used on some goods (perhaps figurines) and not on others. The question is though, are there two MR marks which feature an M on top of a smaller 'R'? - the one at the top of the page with a crown being Mark & Rosenfeld and the more simple inscribed one being Japanese Maruri. Marks & Rosenfeld were importers, not makers, so sourced form Japan and elsewhere. It seems very co-incidental, but I think there must be two separate marks from two separate companies. Unless the two companies were somehow connected? If you know more, please post. and has an oval shape circle around the mark. Please mark it clearly for this thread ("Unknown Mark on Figurine - M & R With a Crown"). 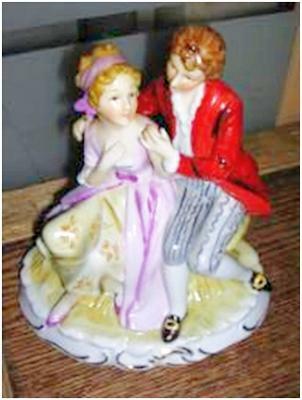 I have a figurine of a dancing pair, a gentleman in a red dress coat with frilled shirt, hair tied back in a bow, and white stockings. The lady has ringlets and a crinoline style dress with a laced pink bodice and long yellow flowered skirt. The mark beneath the piece is the blue M with the smaller R beneath and a five point crown above. Also there is a gold paper label attached with the lettering Alfretto by Mauri. It has been wrapped for many years and it's condition is perfect. I wonder if this helps anyone get closer to a maker and value. I would like to hear more. I have pictures if anyone would like them posted to the author for publication. I have a piece with the MR imprint.. but alongside is hand written Bluetit Maruri. Does this help at all? Also, was maruri a man or a company?.. could this be signed by the man himself? I have a set that was donated to a Humane Society rummage sale, the note that came with it said; "Maruri Japanese Cottage ware Hand painted sold at sears in 1981"
There is a gravy boat, sugar and creamer, tureen,tea or coffee pot and 4 cups and what may be a biscuit container. Sorry everyone, I'm going to confuse things even more...I have a bird figurine about 16cm tall with both the printed blue/green R inside an M topped by a five-point crown, but also an imprinted R inside an M - as per both photos linked to earlier posts. My mum has asked me to try and identify the maker - help please! This seems to contradict the theory that there are separate companies. I have 2 figures depicting the two people above on rearing horseback, they have the same mark as above but are matt and seem to be hand painted. 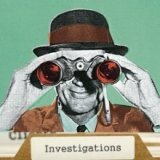 I have searched the internet for something like but cannot see anything. They are mounted on plinth which is part of the statue, it almost looks as if it is Capodemonte. Hi there, well I possibly agree, finally had my fig of the man with the cat, appraised by Canadian road show,here in Sydney Australia, they said these thing..
My mum as a figurine with M R & a crown, but also as a sticker with Alfretto by maruri. It's of a gentlemen leaning on a wall. I today purchased a figurine approx 6 inches high. The markings on the base are as previously described M&R topped with a five point crown and also an indented mark M over R.
The figure is of a Rifle Brigade Officer 1815. About 30 years ago I was given a gift of two 7"statues of a boy and girl. Each is holding a basket of fruit and both have a little lamb standing at their feet. The base of each has the blue M and R with crown above and also the M and R imprinted underneath that. Each also has a gold sticker with "Alfretto by Maruri" on the base. All very interesting! Hi, the mark is for Maruri, a Japanese company, hope this is helpful. Mauri , I did have it valued you were correct, I was told by the American road show that was travelling Australia,,it's American .. Both figures had the MR sign with a crown. They are delightful figures, very detailed. M over R encircled by "Made in Occupied Japan"
All the comments are very interesting and helpful. I recently bought a Maruri Alfretto Figurine – unsigned - of an ‘Old Man writing on his case’. It has the Capodimonte Mark – Crown over MR. Fortunately it does have a gold sticker on the base,still in tact and in excellent condition. It says 'Alfretto by Maruri'. Would you agree that it is all very confusing. The more I read and the more I research, the more confused I become. However, that said, everything does point to it being from the Maruri Factory in Japan. The initials standing for Ma Ruri. I would really appreciate any comments and any ideas of price. It is in excellent condition. I have two porcelain or china roses that have the mark of MR under a crown. How old are they? And are they worth anything? I have had them over 40 years. Maruri Masterpiece China Figurines were a series of figurines manufactured by the American company, Enesco. Enesco LLC was founded in 1958 and specialises in the distribution and sales of giftware. The company achieved huge success during the 1970s, 1980s and 1990s as it produced and distributed the Precious Moments porcelain figurine line of products. During this time, Enesco sales soared and the company emerged as America’s industry leader of giftware products. The Maruri Masterpiece series was introduced from the mid-1970s and although it did not achieve the success of Precious Moment, sales continued to grow steadily until production ceased in the 1980s. Maruri Masterpiece figurines include giraffes, clowns, owls, skunks, church bells, harps, butterflies, birds, squirrels and human figures. Many thanks for filling in the details for us on this query. 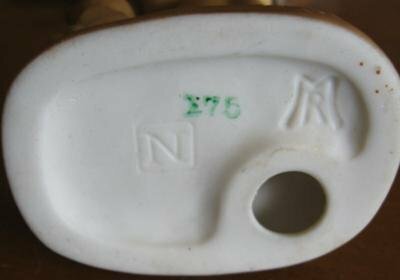 These markings are from NAPCO figurines. I hope this helps. I have several porcelain soldiers and a few of them have that same mark but one of mine has a label on it too and it's Alfretto by Maruri, so it must be a Marks and Rosenfeld that was commissioned from Alfretto by Maruri in Italy. Italy ". It’s a young girl with an open tulip next to her.